TAKE ME OUT seeks jockeys! ARE YOU A SINGLE GUY OR GIRL? 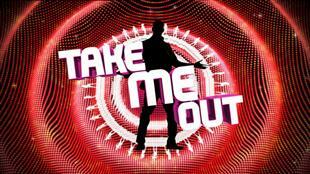 TAKE ME OUT IS BACK AND WANTS JOCKEYS! Take Me Out, ITV1’s big Saturday night dating show is back, and looking for single guys and girls to take part. Host Paddy McGuinness is ready once again to play cupid and guide single ladies and a whole host of single men to find their perfect partner, but remember,no likey no lighty! LET THE GIRLS SEE THE GUYS! Calls are charged at national rate from BT landlines. Calls from other networks and mobiles may be higher. Please get the bill payers permission before calling. Please do not submit the details of another person without their permission. Congratulations to Nika Vorster who blazed a trail from start to finish at Carlisle today on Film Festival for Brian Ellison to storm home and win hard held. 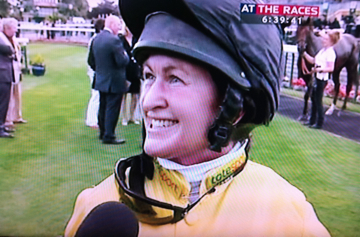 Well done to Nika for whom this is only her second win having ridden her first winner earlier this season at Doncaster. Congratulations also to Brian Ellison whose horses are in great form and who of course provided yesterday’s ladies race winner at Ascot. Making it three wins from her last three rides, Serena Brotherton stormed clear today at Ascot to win the Ladies Longines for Brian Ellison on Rosko. With one non-runner (Emma Evans unable to get to the track in time) 17 runners went to post. The field soon split and Serena was always handy in the stand side group to go clear as they reached the winning post with Rosko wearing blinkers for the first time in his career. Many congratulations to Serena and to winning connections! Watch out this weekend girls! The weekend ahead is a busy one for amateurs with the gentlemen looking forward to Salisbury’s historic Carnarvon Cup on Saturday whilst the ladies travel to Ascot for their historic fixture there which is nowadays generously sponsored by Longines. 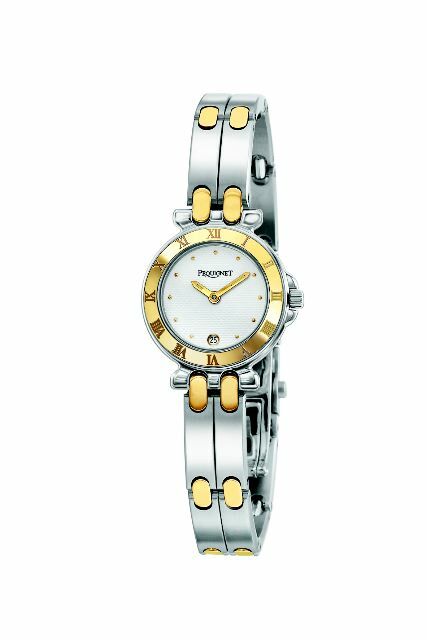 The following day Carlisle then welcomes the inaugural running of The Stobart Group Lady Riders’ Northern Derby Bowl where a Pequignet watch will be presented to the winning lady rider and the winning owner receiving a perpetual trophy – the Stobart Ladies Northern Derby Bowl. The race is eagerly awaited having been welcomed as our second most valuable race in the amateur lady riders’ calendar after York’s Queen Mother’s Cup. Thanks to the amateur rider’s hurdle at Worcester being divided today, an abundance of amateur jockeys were able to enjoy race riding this afternoon alongside the river Severn. Congratulations to John Mathias, runner-up in the 2009/10 men’s point-to-point championship. Fresh from his Southwell double 10 days ago, he was quick to put on a repeat performance with both horses scoring again, firstly in the opener of the day on hard held Makena and later in the day on favourite Misamon in the handicap hurdle. This takes John into the lead for the gentlemen’s championship on 4 winners already this season. Both horses are trained by John’s boss Dai Rees. 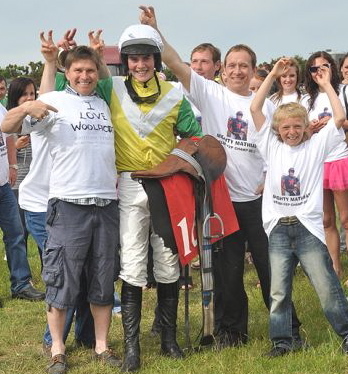 John is pictured below with supporters during his victorious point-to-point season with T-shirts printed with Mighty Mathias sold in aid of the Injured Jockeys Fund. It was also a memorable day for Oliver Garner who rode his first winner under Rules for boss Sean Lycett, having been promised the ride as a birthday present. 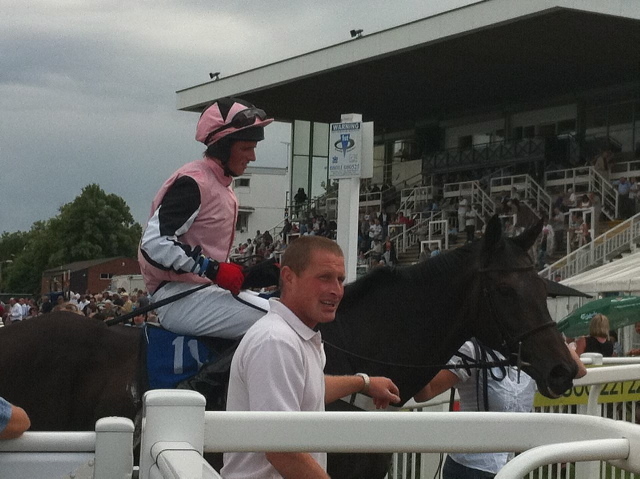 Many congratulations and Happy Birthday to Olly who is pictured below being led into the winner’s enclosure. His 22nd birthday is in 2 days time. A scorching pace being set in the last race of the day, the 2 mile chase at Market Rasen today saw Gina Andrews bide her time and go on to take it up from four out and win comfortably for Pam Sly aboard Viable. Well done Gina! 16 runners went to post at Doncaster this evening for the first race on the card, the Amateur Jockeys Association 5 furlong sprint. Always up with the pace, Fashion Icon and Serena Brotherton led the field after 2 furlongs and the horse responded gamely to her jockey’s urging a furlong from home to hold on by a short head in a thrilling finish from Victoria Barr and Kyzer Chief with Scott Dobson and Red River Boy a neck away in third. 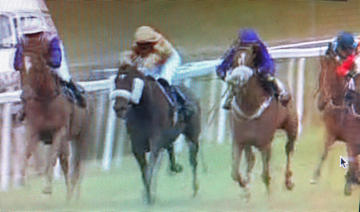 Jacqueline Coward and Arriva La Diva were just over a length back to finish fourth. Many congratulations to Serena for whom this was her 42nd flat career victory (as well as 1 Hunterchase) and her 3rd winner already this season. Congratulations to Serena Brotherton (above left) on a very personal win today at Beverley when she won her family race, the ladies race generously sponsored by her family and run in memory of her late grandmother, Lady Jane Bethell. 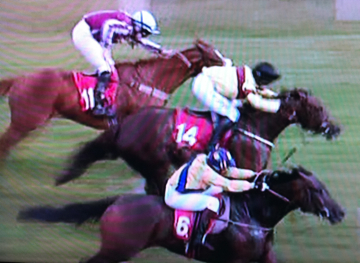 The race was eventful to say the least with four non-runners, three of which were withdrawn at the start with one bolting on its way there and two unruly in the stalls. Unfortunately in addition a 4-day ban was handed to Jacqueline Coward as a result of her horse hanging badly during the race before finishing third, having hindered Racheal Kneller on the second. However, this did not affect the winner Kyle of Bute who was held up by Serena Brotherton midfield before making headway from three furlongs out and ran on strongly to hit the front a furlong out and win comfortably. Very many congratulations to winning connections on this very special family win. Lady Jane Bethell was from 1944 to 1945 personal assistant to Colonel John H Bevan MC, Controller of Deception in The London Controlling Section – the secret organisation founded by Sir Winston Churchill responsible for military security, crytoanalysis and deception. Consequently, she was one of only a few people entrusted with the knowledge of the intended time, date and place of the Allied D-Day invasion. GB WIN BY MILES IN POMPADOUR! 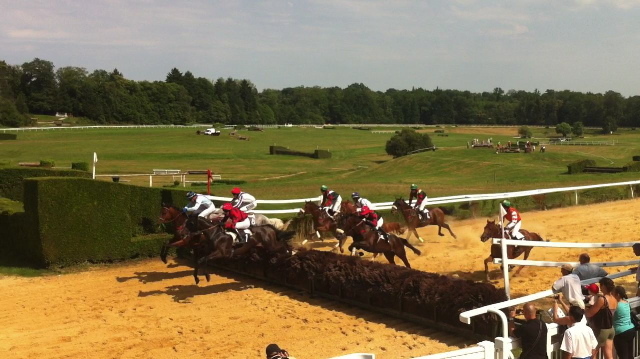 The first race in the inaugural running of the Triple Nations Cup was held in Pompadour by kind invitation of Racecourse President Monsieur Francis Delord. 12 riders were invited to take part from three nations and with temperatures at 38 degrees in Pompadour and firm ground, 8 runners were declared. The riders were: John Dawson, Josh Hamer and Miles Seston (red caps of Great Britain); Andrew Doyle, Richie Harding and Roger Quinlan (green caps of Ireland) with Patrick Paihes and Praphan Phokaeo (blue caps of France). Much of the early running was made by Josh Hamer but with John Dawson taking a crashing fall in the final circuit, Miles Seston always had the leaders in his sights and kicked on turning for home to win comfortably with Josh taking second place. Patrick Paihes finished in third for France with Roger Quinlan in fourth for Ireland. Many congratulations to Miles on his first winning ride abroad and a huge thank you to all those in France who so kindly made this possible. Racing for Change organised a ladies race with a difference as the opener on Friday night’s card when a pro-am race was staged at Chester in aid of Breast Cancer Care. 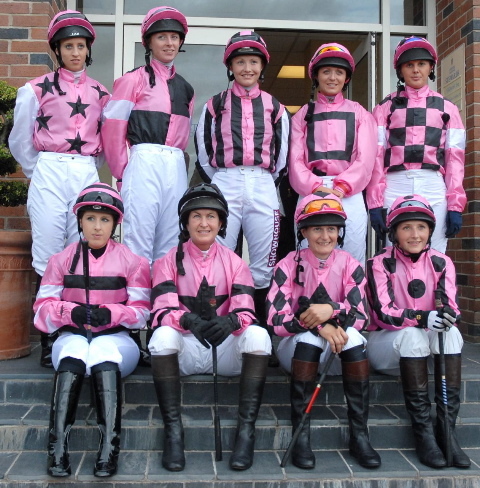 Each lady jockey wore pink colours in a bid to raise £25,000 for the charity. Ladies pictured on the Weighing Room steps (clockwise from top left): Amy Ryan, Jemma Marshall, Kelly Harrison, Kirsty Milczarek, Miss Michelle Mullineaux, Miss Victoria Barr, Miss Wendy Gibson, Miss Serena Brotherton and Miss Nikki McCaffrey. Amateur Lady Flat Champion 2009 before turning professional, Amy Ryan completed a double on the day by landing this unique race on Rascal in the Mix, having won earlier in the day at Newmarket. RFC spokesman Nick Attenborough was delighted with the success of this initiative which was part of a planned campaign to connect with a wider audience.